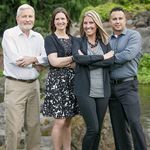 When you are getting ready to list your home for sale, you may be wondering exactly how much preparation is required. If you spend a little time touching up little things around your home, selling it quickly and for top dollar will come easily. Starting outside is an important first step. 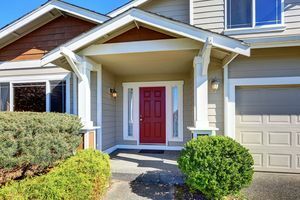 Curb appeal is more than just attracting buyers. After all, the front of your home is where buyers will being to make their impressions. You have heard that you only get one chance to make a first impression – and it’s no different in real estate. 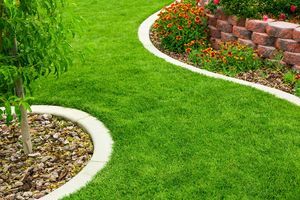 Mowing the lawn may seem obvious, but you’d be surprised how many people – especially those not currently occupying their homes – don’t bother to do this important step. 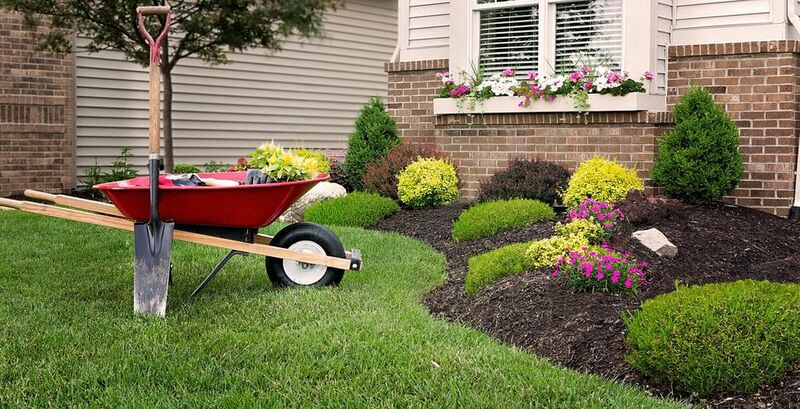 Everyone loves a freshly mowed lawn, and to make it look extra sharp – edge and trim the walkways and flower beds. Adding some fresh bark-dust is also a big hit with buyers. Not only does it look nice, but the smell is something most people love. 2) A fresh coat of paint goes a long way! 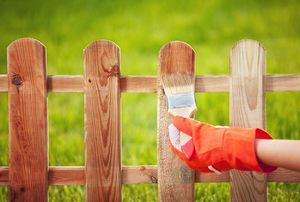 Whether it be a fence in the front yard, or a deck and handrail – fresh paint and stains always look amazing. If your exterior needs paint, a fresh coat around the windows and trim also make a world of difference. Of course, painting the entire house will add value as well as curb appeal – but sometimes it’s just not in the budget or time-frame. Do as much as you can to make your home look clean and presentable for buyers. Spraying off dirt and mildew etc is a quick and easy way to brighten up an older paint job too! Spending a few hundred dollars on paint can fetch you a lot more in sales. I was at a home recently where they clearly hadn’t done a lot of work on their lawn over the years. However, on the front porch as we came up to the door, were two large potted plants. The planters were overflowing with colorful flowers. You could see them from the street – and it just looked so inviting! These beautiful pots were also included in the real estate photos, and made the featured image of their home stand out among the competition. There is always a moment of pause when we walk up to an entryway. The real estate agent has to unlock the lock-box, and then unlock the door etc. In this short period of time, the buyers are looking around and making their first judgement on the home for sale. Clean off the front door, hang up a welcome sign, add some potted plants. Make the entryway of your home match what they are about to see inside. It sets the tone for the rest of the showing – and really isn’t a major investment. Contact Us today and we can give you personalized tips based on your specific home!